Pantin, a small town on the Paris city limits twinned somewhat improbably with Moscow, is an ideal site for an urban promenade, thanks mostly to the canal that runs through it and a spectacular industrial ruin. On Sunday afternoons, the Canal de l’Ourcq buzzes with movement. It is not the water itself - dense and sluggish and with little visible traffic - but the quays on either side that are alive with joggers and cyclists, as well as flâneurs such as myself who are on the lookout for cracks and dents in the smooth Paris cityscape. The Metro takes you to its heart (Eglise de Pantin, line 5), but you can also follow the canal all the way from the centre of Paris, passing by the recently renovated Grands Moulins de Pantin which now provides a home to French bank BNP-Paribas. By the canal, joggers and cyclists are sent on winding tracks around decaying warehouses and alongside scruffy building sites, and even occasionally over the tops of barriers that have been laid mysteriously in their path. Most people seem to gather at one particular point, alongside a concrete carcass which is covered from top to bottom in tags and graffiti. It is not though an easy building to approach. At the rear are locked gates and savage dogs, thankfully tightly chained to heavy rocks. From the Paris side, you need first to scramble over a stone blockade. The building itself is busy as an ants nest, with small groups of hooded figures looking carefully for a piece of virgin wall, or a more dated creation that they can safely paint over. This building is just one of several dotted on waterways around Paris that were known as the magasins généraux, but it is easily the most impressive of these structures. It was built between 1929 and 1931, and offered a surface of 25,000m² over six levels. It was used primarily for the storage of grain and flour, and continued to be used up to the end of the 20th century. Looked at more closely, it is clear that there was some architectural genius at work here, even if the name of the person or persons responsible has been lost in time. Resolutely modernist in form, it also offers a few art deco flourishes, mainly in the curved balconies that surround the building. With its prime waterfront position, it is easy to see the building's potential and it is not a surprise to learn that redevelopment is planned for 2014. ...and how it might look in the near future. The promised development is a standard mixed-use scheme, featuring at its heart a rather unlikely hotel (and a frankly surreal gondola in the artist's impression). It is a completely artificial attempt to transform what remains a working class district into a leisure zone, and one that conversely will make it less attractive to visitors. In many ways the whole idea of renovation seems misplaced here. It is its grit that gives it its charm, and it already serves a purpose as a kind of urban adventure park where people can experience an inner-city edginess without any of the associated potential dangers. 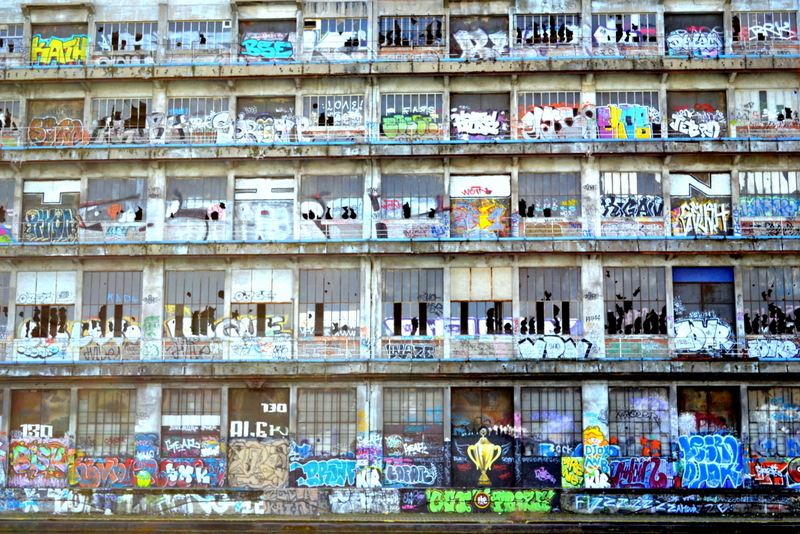 The building itself has become a permanent and ever-changing canvas for street artists, and its guts a playground for the explorers of city ruins. Could it not instead become a focal point for a new kind of urbex tourism? It is perhaps an idea that is already being put into place. This Friday evening, the local tourist board are organising a walk from this point back along the canal into Paris in the company of graffiti artist dAcRuZ. Thanks to Tara who suggested a visit to this place, and who asked me to provide more information. I hope I have answered your question Tara! Fantastic post! I completely agree on the misplaced development strategy, although it would be hard to carry out some kind of re-development & have the site remain a part graf-art centre/gallery without seeming contrived. The trick would be in carrying out development without killing the subversive aspect of the site...It has loads of potential, and could definitely benefit the surrounding community by providing animation & focus. I don't think a hotel or gondola is the answer! 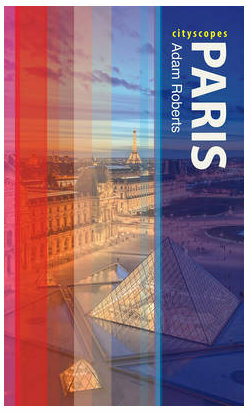 So sad I won't be in Paris this weekend for the tour. 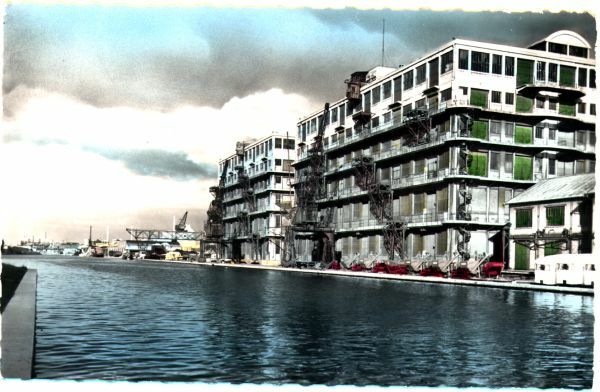 Will the re-development really mean Venetian gondolas on the Canal de l'Ourcq?... That's what the artist's impression suggests anyway! Brutalism + Booze: The bridge is not in the postcard of the early building either, but in its place there seems to be a smaller structure, which is definitely not there today. In any case, the bridge is in a poor state and not used now, so its probably not a surprise to see that its not included in the redevelopment project. looks like atlantic cities has a similar article ... ? An 'Avertisseur de Police' - a forgotten relic?